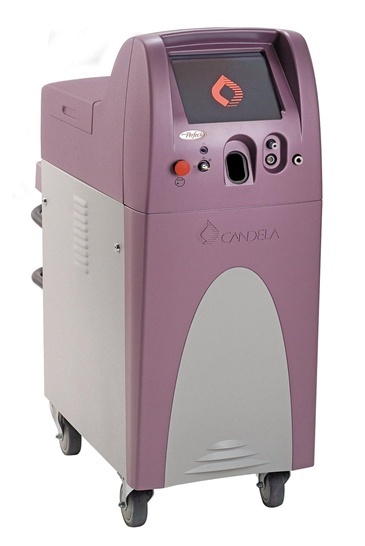 Vbeam is a pulsed dye laser, manufactured by Candela, the company which produced the first dye laser system, and is considered as the gold standard for the treatment of vascular lesions. It was initially recognized only for the treatment of vascular diseases, such as nevus flammeus, but it has been distributed worldwide with an excellent effect for aesthetic treatments, including telangiectasis, facial flushing, acne and red marks. I also have used Vbeam for various diseases from vascular to aesthetic diseases since introducing the device. It is particularly useful for the removing redness from acne. Vbeam may sometimes damage a blood vessel and leave a bruise when a strong energy was applied; however, if the target vascular lesion is treated, the bruise disappears within 2 weeks on average. One might consider increasing the energy fluence for a better effect. In this case, the pulse duration may be increased for a thick blood vessel and decreased for a thin blood vessel, considering TRT time of blood vessels, for a better therapeutic effect. High mechanical stability and proven therapeutic effect are advantages of Vbeam. It has been in use for almost 10 years now since the introduction, but it has seldom caused a problem and becomes as good as new only by replacing the consumables called Dye PM kit. The high price of this kit can be considered as a disadvantage of Vbeam; however, I don’t consider it as a cause for dissatisfaction, because greater cost of consumables also means as much greater number of dye laser procedures. Profile, manufactured by SCITON, is a laser combined both Er:YAG and Nd:YAG in one device and was an innovative machine at the time of purchase. 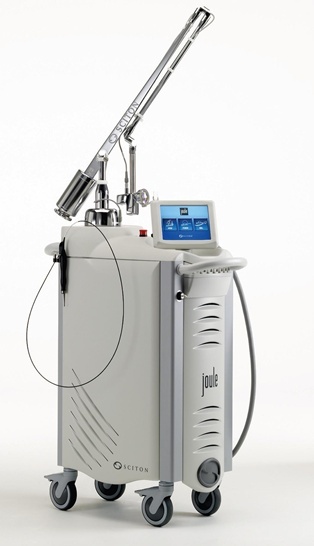 Now an upgrade version named ‘JOULE’ has been released combining Er:YAG, fractional, Nd:YAG, IPL and laser assisted lipolysis in one device. Profile was first purchased because it can resolve both scar treatment with Er:YAG and pore and skin tightening with Nd:YAG from one device. SCITON is a company which takes a pride in being the world best producer of Er:YAG laser. The initial model, Profile, was equipped with an unique tunable resurfacing laser (TRL) and a computer scanner. The Nd:YAG scanner had contact cooling system for safe and effective pore tightening and hair removal; the cooling system is still utilized a lot. Margin cutting is essential for effective treatment of an already developed scar. The Er:YAG laser of Profile is appropriate for reducing artifacts by allowing fine setting for effective removal of a scar margin. However, fractional laser is more effective for stimulating collagen remodeling and skin restoration of a depressed region and for reduced recovery period after the procedure, which is why ProFractional-XC has been released recently for effective scar treatment. ProFractional-XC irradiates Er:YAG laser of strong peak power by time reiteration and allows tissue ablation of up to 1500um. It is mainly used for serious scars, including icepick or boxcar scars. Coagulation can be added by 3 stages; I use stage 1 (50um) for contraction of a micro spot zone punctured by a fractional beam. 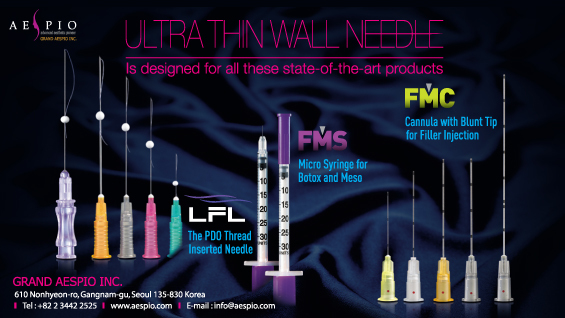 The advantage of this device is the possibility of individualized procedure. For a scar treatment, a combination of ProFractional-XC and TRL skin resurfacing, according to the patient’s time, financial status and severity of the scar, would result in a good outcome. The disadvantage of this device is the risk of pigmentation and erythema, which is a common problem of all fractional lasers. The duration and likelihood of such an event may be reduced by lowering the depth of penetration. 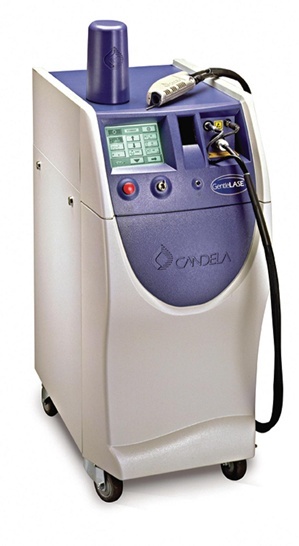 GentleLase, manufactured by Candela, is a long-pulsed Alexandrite laser and was introduced as a laser for hair removal. I introduced this device for the treatment of pigmented lesions, based on the expectation that pigmentation diseases, including freckles and chloasmata, would be treated by another theory other than Q-switched Nd:YAG technique. The result was as expected; the melanosomes in the epidermal layer was eliminated in the form of microcrust. In this case, the risk of pigmentation or depigmentosus nevus is low, and widely distributed pigmentation areas can be treated easily because the applied spot size is large. Irradiation site response may be delayed by 1-2 minutes than the existing Qs-Nd:YAG lasers; therefore, care should be taken so as not to stack in another laser. Another indication of GentleLase is pore tightening. Laser energy from GentleLase applied to the hair inside a pore gives general contraction effect, which is considerably effective for the treatment. Furthermore, the Alexandrite wavelength can penetrate into the upper dermis, which is quite helpful for stimulating collagen remodeling and general pore tightening. GentleLase is also known to be effective for relatively thicker blood vessels that are not appropriate for Vbeam. Lastly, as for the original indication of GentleLase, hair removal can be performed without much burden on duration of the procedure, one of the reasons for avoiding hair removal in the past, when 18mm spot size is combined with DCD cooling and 2Hz.